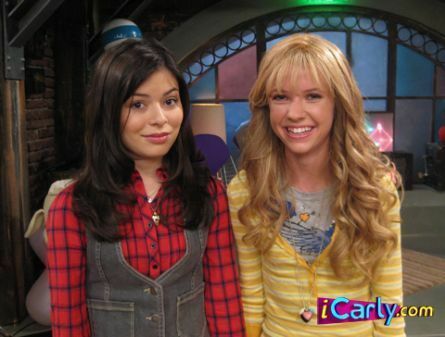 Carly with Sam's look Alike. . Wallpaper and background images in the iCarly club tagged: icarly photo image. This iCarly photo might contain kalye, lungsod tanawin, urban na setting, damit, and overclothes.